Join us as we gather with area churches and Christians for this important national prayer event. 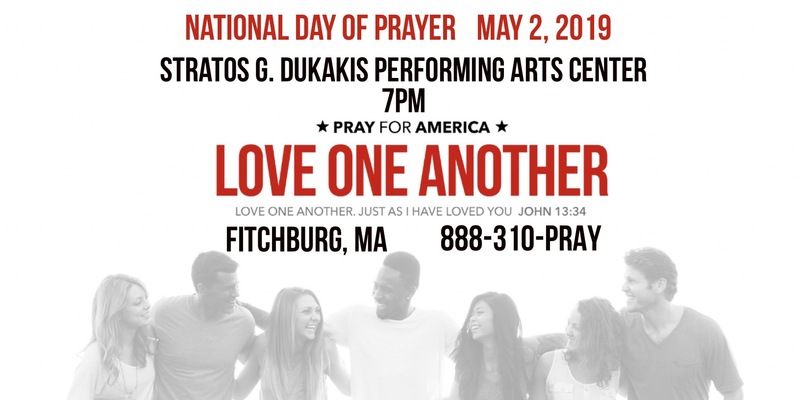 We will gather at the Stratos G. Dukakis Performing Arts Center at Montachusett Regional Vocational Technical School in Fitchburg, MA. on May 2nd from 7 to 9 PM. For more information, call 888-310-PRAY.